Are you new to Churchill Archive? Or are you simply looking for a quick refresher on how to make the most of this fantastic archive? 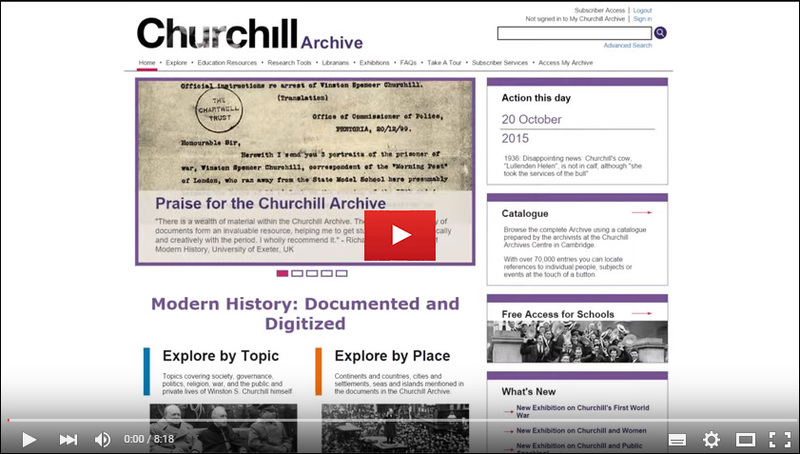 If so, why not take a video tour of how to navigate the rich content in Churchill Archive including teaching and supplementary resources, key features and functionalities.